25 years old – a quarter of a century! 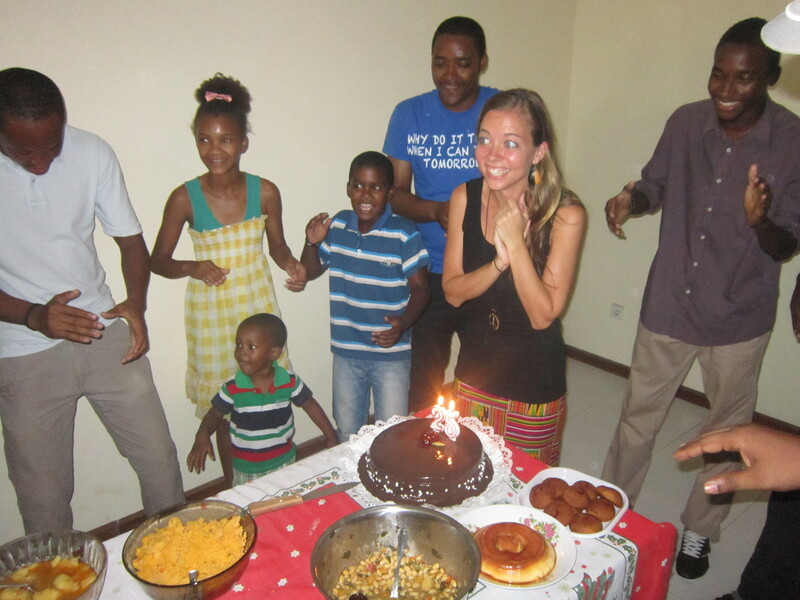 To celebrate the big 25 and my last couple of months in Cape Verde, I decided to throw a festa. After all, I can’t live in Cape Verde for two years, the nation of festas, and not throw my very own festa. It just wouldn’t be right. So how do you have a festa in Cape Verde, you may ask? 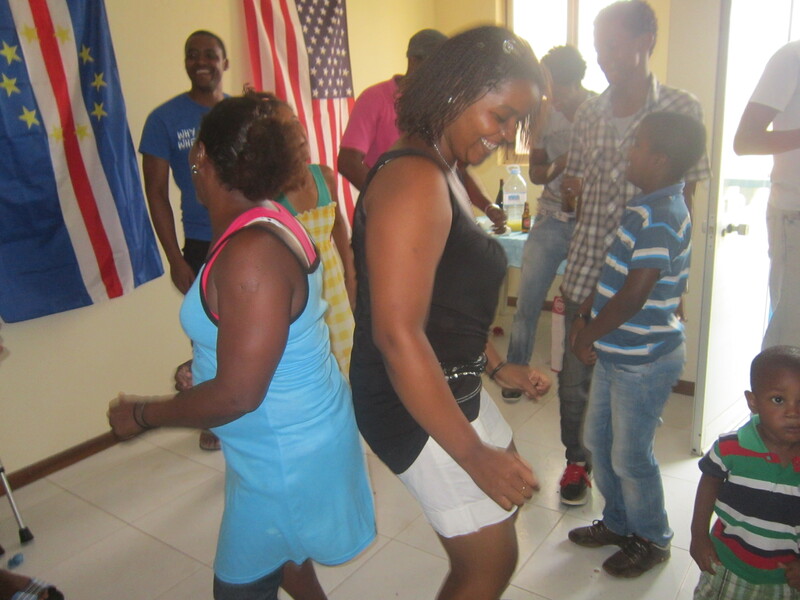 Every festa in Cape Verde consists of huge pots of food, lots of drinks, and of course music. And the most important part? Women. They run the country, they run the festas. They get a group of friends together and cook for an army. But it doesn’t end with cooking — they refill all the dishes on the table, and they clean in between guests. They really are superheros. I don’t know how they do it. The day before my birthday festa, I went shopping in the local market with my Cape Verdean mother. 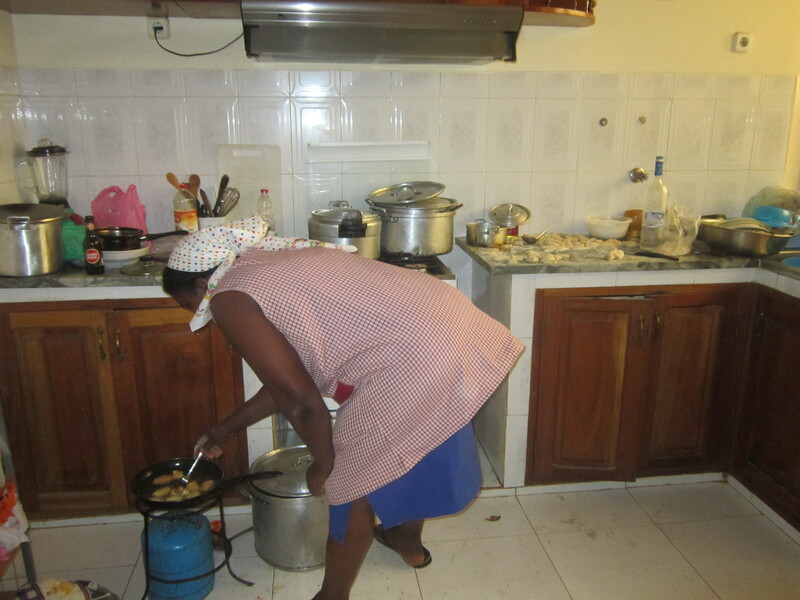 We bought a bag full of potatoes, manioc, tomatoes, peppers, onions, rice, fish…you get the picture. My family gave me a goat for my birthday so most of the meat was covered by their heartfelt gift. Then, the night before the festa, my family killed the goat and began marinating the meat. Early the next morning, we were ready to go with pots cooking and potatoes chopped. 3 Responses to Festa Bedju! Happy, happy birthday sweet Krista! You are one special lady!!! Happy BDay! I thought about you when Cape Verde’s 3 athletes marched into the Olympics.